There are various ways of testing an alternator without the need for a multimeter. A voltmeter is another device that can figure out the voltage of a circuit for you. There’s also another way to check the alternator manually. 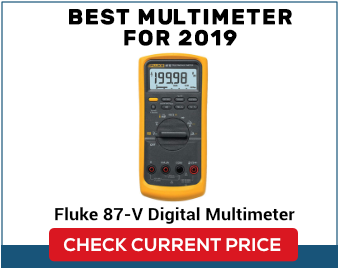 It is for those who do not have a multimeter nor the knowledge of using one. This guide will take you step by step on how your car can still benefit in the absence of such device. While an alternator can be challenging to check, the following methods are proven to yield fruitful results. Get a voltmeter if you don’t have one already. Auto parts and accessories store has a vast number of brands that fall under $20. Pricier models may offer more features, and some well-known brands are also just around the corner, but you can still get the same essential functions with a cheaper brand. Whichever you decide to purchase, make sure that it will fit your needs. Before proceeding, make sure that your battery is fully-charged or well-charged at least. You won’t be able to check your alternator if you can’t start your car due to little battery power, and you’ll end up wasting precious time. Connect the battery and the voltmeter to each other. Take the red lead and position it at the battery terminal on the positive (+) side. Do the same with the black probe but connect it to the other hand, which is the negative (-) terminal. Take care that you skin won’t come in contact with the battery. Check the voltmeter, and it reads more than 12.2V, your battery has enough power to perform testing. Otherwise, make sure to charge it first so you’ll get the best out of it. Start the engine and get your alternator into maximum activity by running at 2000 RPM. When the engine is in full gear, the battery will be getting powered up, and the alternator will get some voltage from the regulator. Use the voltmeter this time and do a retesting on the battery by running the engine. Notice that if the RPM is causing a fluctuation from 13 and 14.5, it means that the alternator is doing fine. However, the alternator needs fixing or changing once the RPM starts dropping. In this method, the volt gauge or the amp will serve as the tool for reading the alternator. Rev up the engine at 2000 RPMS for testing and turn ON all the electrical components in your cars such as the air conditioner, the wipers, heater, and headlights. Keep watch of the voltmeter. If all the while that the engine is running and it measures higher, it could mean that the alternator is in good working order. Run the engine and open your ears to how the alternator sounds. If there is an irregular sound like screeching or a squealing, then it is a visible sign of trouble. It would seem even worse if your car’s components are also running. Using the car’s radio, turn it to AM and tune it to the lowest number then lower the volume. Step on the gas pedal and listen carefully for a whining sound coming from the radio or is there’s a particular fuzziness, the alternator could be the cause. If you’re more comfortable with getting your alternator checked by a professional, you can detach it from your car and have it checked for free. Stores for car parts and accessories are accepting alternators to test for free. If after jump-starting the motor, it starts, but suddenly it loses power once more and then after disconnecting the cables from the battery, the car dies on you. If the car is running smoothly but dies suddenly, the car accessories that had been turned on for testing is profoundly affecting the battery. If while the battery light still lights up even while the engine is running. When the night comes, and the headlights are seemingly dimmer that it usually it.